Boyds Mills Press, 9781590788578, 32pp. It's a glittering carnival for ghosts and goblins. The attractions are dazzling: a warlock rodeo, a witches' brew contest, goblin pie, and a tricky hall of mirrors. When the adventure ends, Daphne and Sam once again find themselves on their own street. Was it a Halloween trick, or a Halloween treat? Hard to know for sure, under that butterscotch moon. Mary Ann Fraser's pun-filled text and striking artwork make this an irresistible holiday tale that begs to be read again and again. 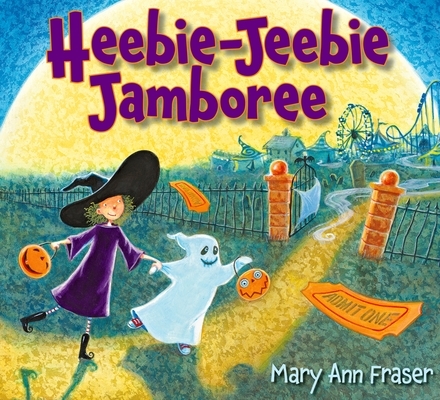 Mary Ann Fraser is the acclaimed author and illustrator of many books for children, including Pet Shop Follies. Among her other books are I. Q. Goes to School, How Animal Babies Stay Safe, and In Search of the Grand Canyon: Down the Colorado with John Wesley Powell, A School Library Journal Best Book of the Year. She lives in Simi Valley, California.